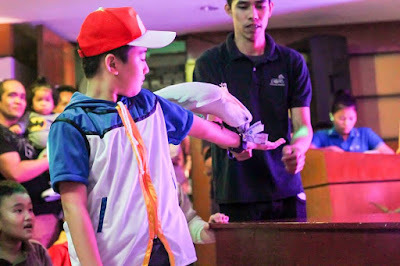 Few months ago, Pokemon Go, a mobile game application was launched here in the Philippines and people went crazy. 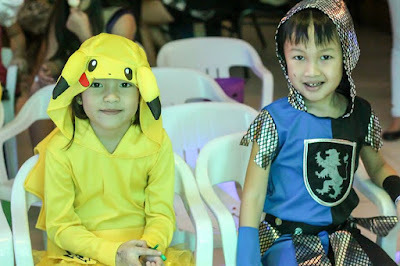 It was the topic of every Netizens which gave them ideas on who or what to wear during Halloween. 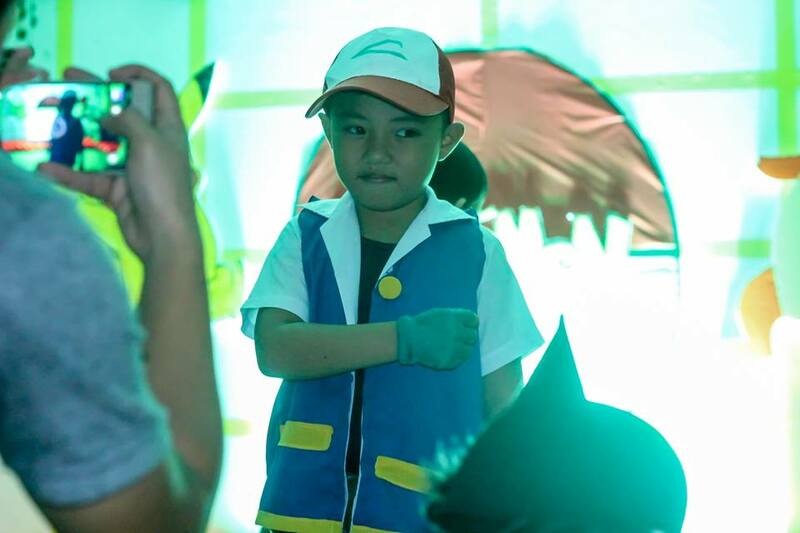 Just like in Crown Regency Hotel and Towers, Kids dressed up in their favorite Pokemon characters such as Pikachu or our fave trainer, Ash Ketchum during their Halloween Party. 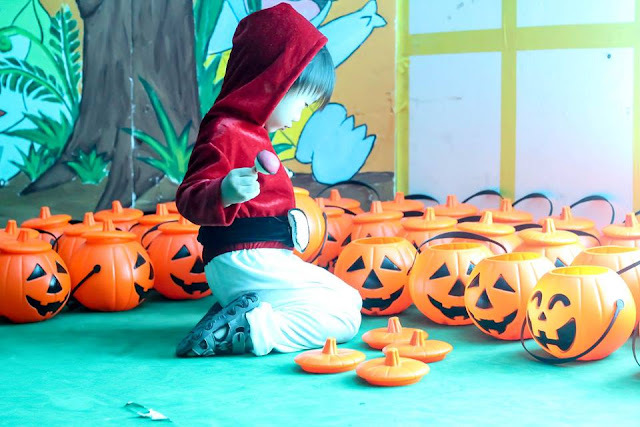 It was an afternoon full of Treats, not just Tricks! 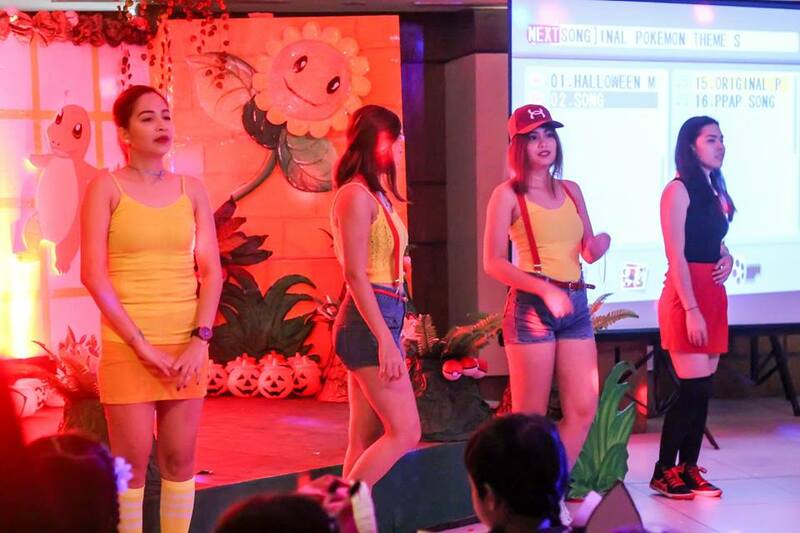 The event started with an introduction with participants and a short dance number from Crown Regency Staff. 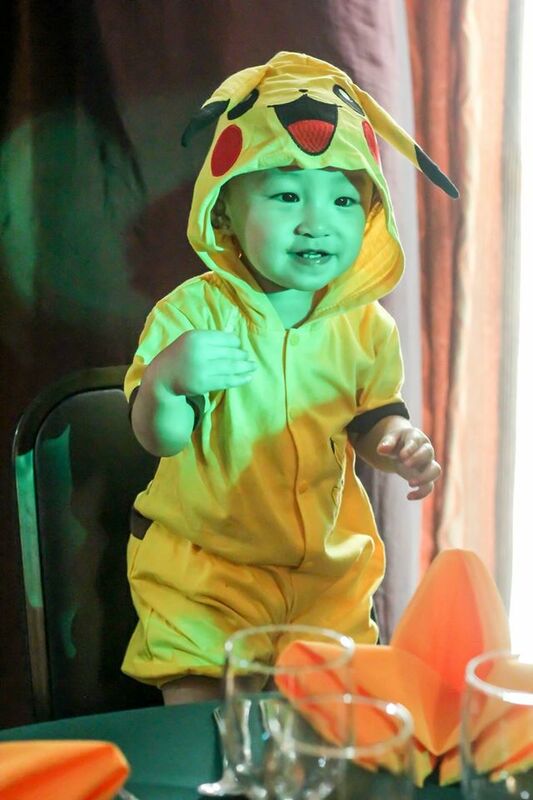 "Cutie Patoties" were all around the room - you cannot handle their cuteness! 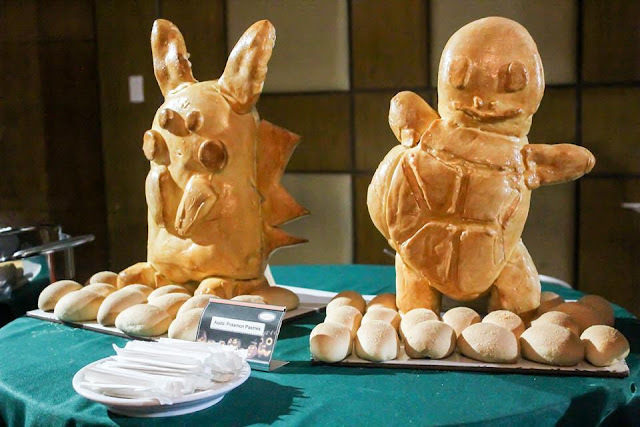 And to add some spice, Crown Regency Chef designed a delicious and pokemon-themed snacks and sweets over the buffet table. 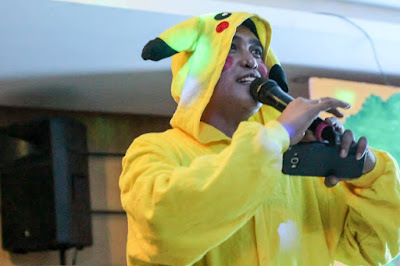 After lunch, exciting games were introduced such as "Who's that Pokemon" where the host flashed a picture of pokemons and cuties rushed to the stage to name them. 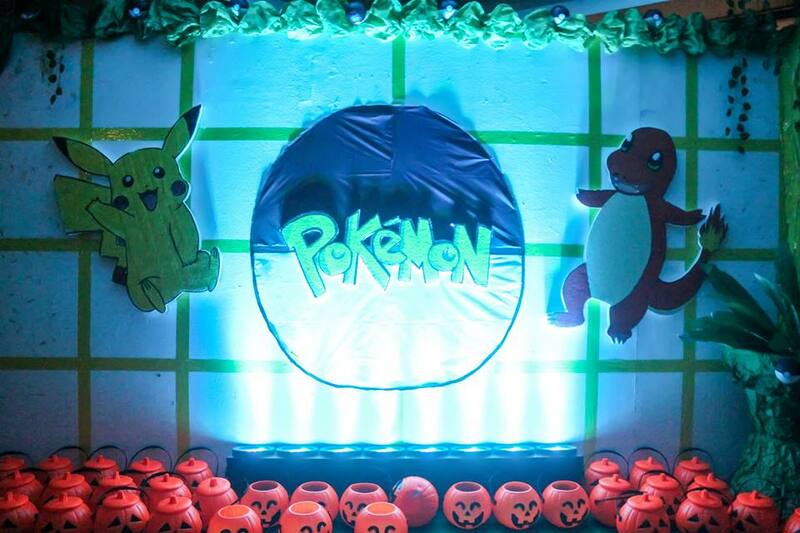 All I thought millenials won't know about this stuff but I was amazed to know these kids even know the Pokemon names! 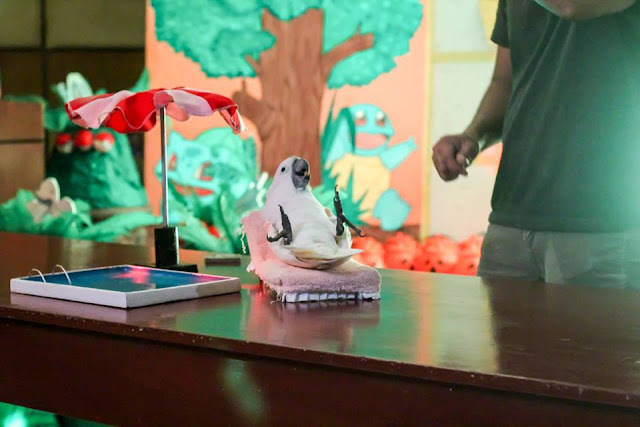 After such, an educational live bird show was performed. Indeed, kids and "kids at heart" were entertained. 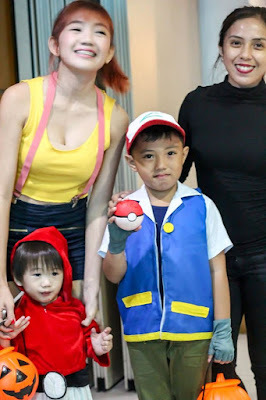 FaceCebu Author Mark Monta and Lyssa Amor and her kid, Shin - the Pokeball! The event ended with a "Trick and Treat" from different areas in Tower 1 or Crown Regency Hotel and Towers. 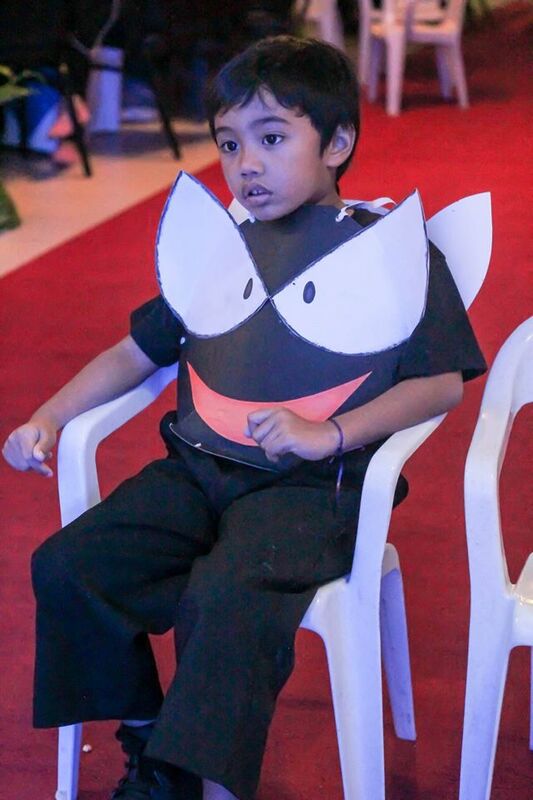 Some kids were not tired and even went up to use Crown'sVivo Playroom. For further inquiries and reservations of events, visit www.crownregency.com or call at (032) 418-8888 / 418-7777 or email us at marketing@crownregency.com. Cool! We actually have the same pokemon-themed trick or treat in our company! 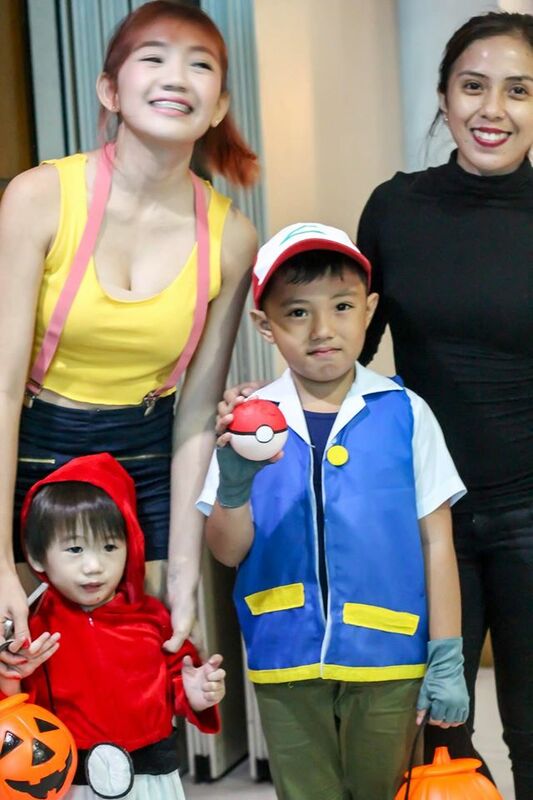 The kids are so adorable.